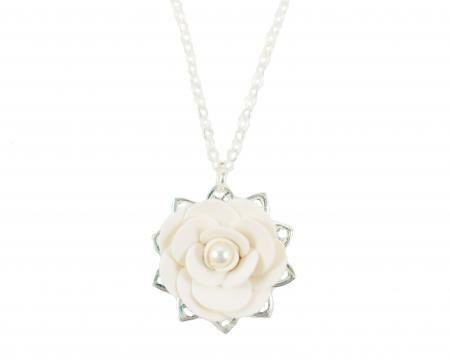 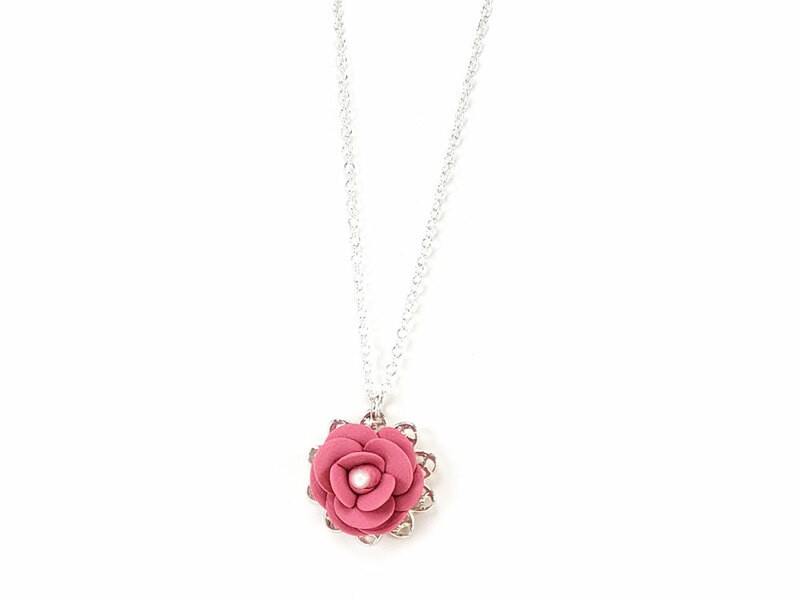 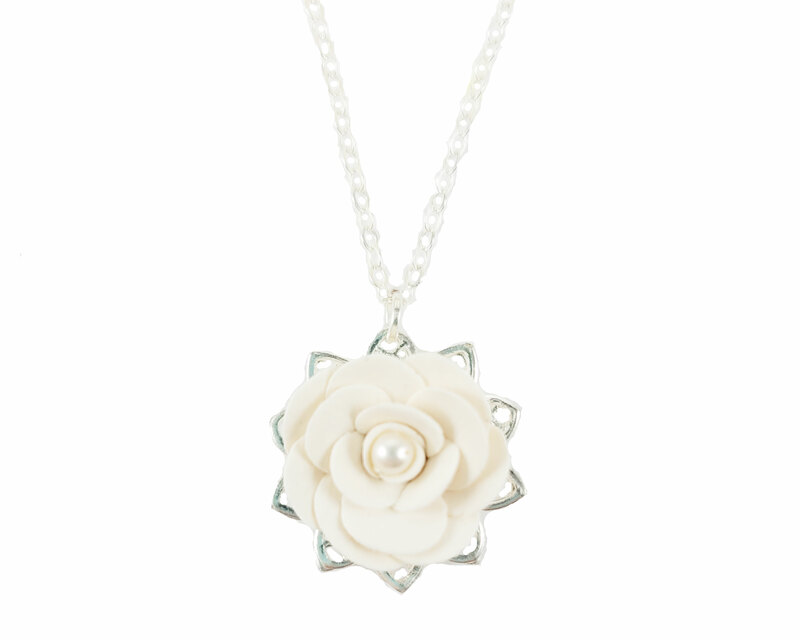 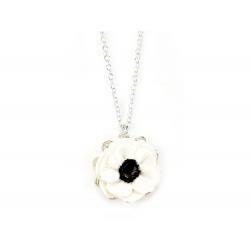 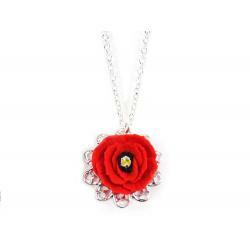 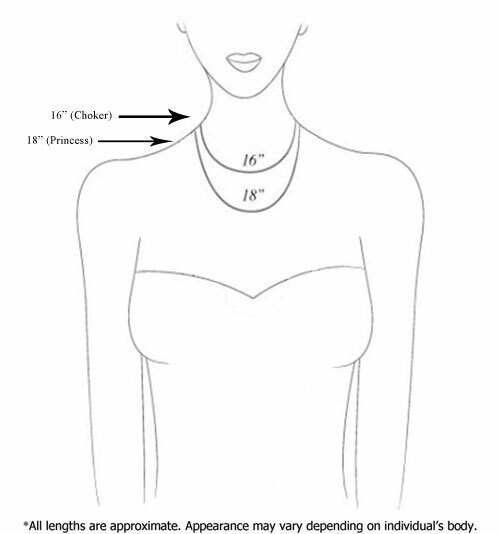 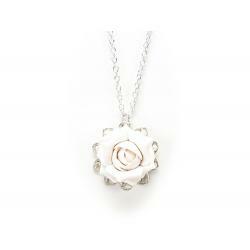 Camellia charm necklace featured with a lace-like filigree backdrop. 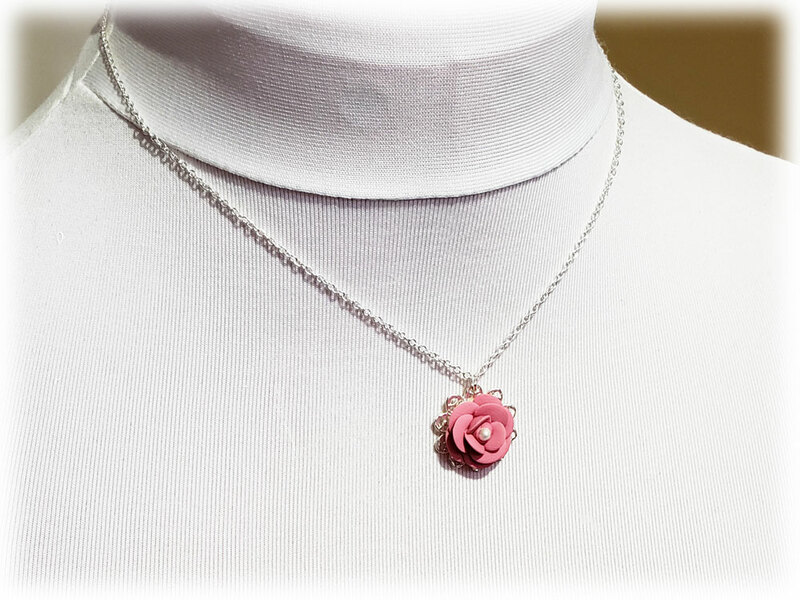 The hand sculpted Camellia is secured to the filigree and drops from a delicate cable chain for a beautiful dainty style necklace. 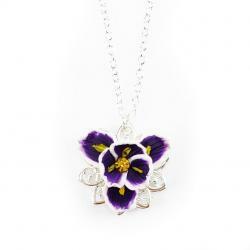 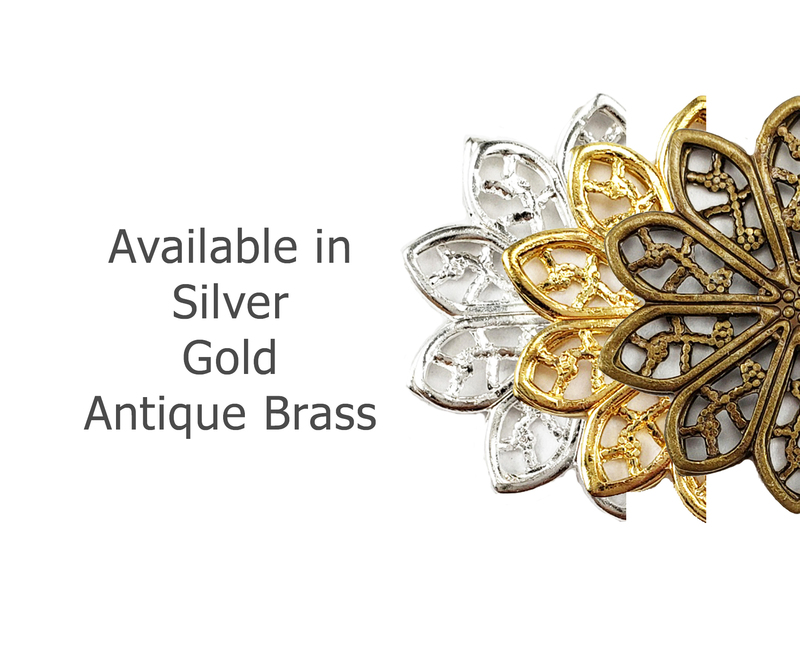 -Flower and filigree are permanently conjoined and will not detach..